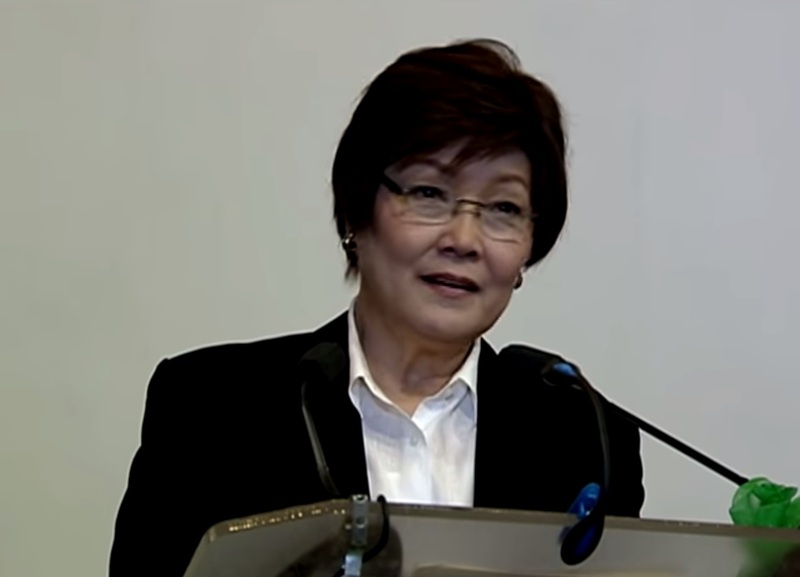 As first announced in May, veteran journalist Tina Monzon-Palma was honored Wednesday with the UP Gawad Plaridel award, a recognition "given to Filipino media practitioners who have excelled in the field of print, radio, film, and television, and those who have performed with the highest level of professional integrity in the interest of public service." The UP College of Mass Communication, which selects the recipient of the prestigious award named after Marcelo H. del Pilar, said that it chose The World Tonight anchor "for her pioneering efforts that opened doors/opportunities for women at a time when men dominated the media landscape." Upon receiving the award at the UP Film Center in Quezon City, Monzon-Palma thanked the institution for recognizing her more than four decade career in the industry. Among those who showed up at the ceremony to honor her were ANC's Cilette Liboro-Co and Nadia Trinidad, GMA-7's Marissa Flores and Jessica Soho, and Rappler's Maria Ressa. "Sa lahat po ng mga kaibigan ko, nakatrabaho ko, nagbigay ng inspirasyon para kami ay maging isang mahusay na organisasyon — sa lahat ng istasyon na sinalihan ko — maraming salamat," she said. In her speech, Monzon-Palma, who was a news anchor for GMA News during the Martial Law era, likened the country's current state of affairs to the dark days of the Marcos era, saying that we are "living through" a version of that time "except that everything is on steroids." "There were years when people lived in fear of the knock on the door in the night which often ended with people dying or going missing to this day," she said. "In many ways, those years are uncannily similar today, don’t you think?" She continued: "In a way we are back in the wilderness. When before we had censorship, now we are in a wasteland of hate and intolerance. Why am I telling you this? Because my main takeaway is, it is darkest before the dawn." Monzon-Palma, who's currently on sabbatical leave from ANC, argued that the media still has an important role to play in the age of Duterte. "But as truth becomes blurred, our role once again becomes clear. And what is the role of the journalist? To investigate, cut through the white noise, present the situation as clearly as possible and as Vergel [Santos] would always tell us, ask the hard questions," she said. "How do we remain relevant in an age when truth itself seems to be under assault?" she continued, directing that question to her millennial colleagues. "There is only one answer, my friends, especially the younger generation. The media cannot be timid. Media need not be timid if it sticks to good journalism." "You will never feel afraid if you know what you write about is the truth, you’ve been able to do your vetting and you’ve been able to consult, if you’re writing for a newspaper or producing a newscast with your editors, they would have made sure you do a really good job," she added.